The 462nd Sheriff’s Ride and its spin-off take place this coming Saturday (5th September) and I’m marking the occasion with a post about posts. 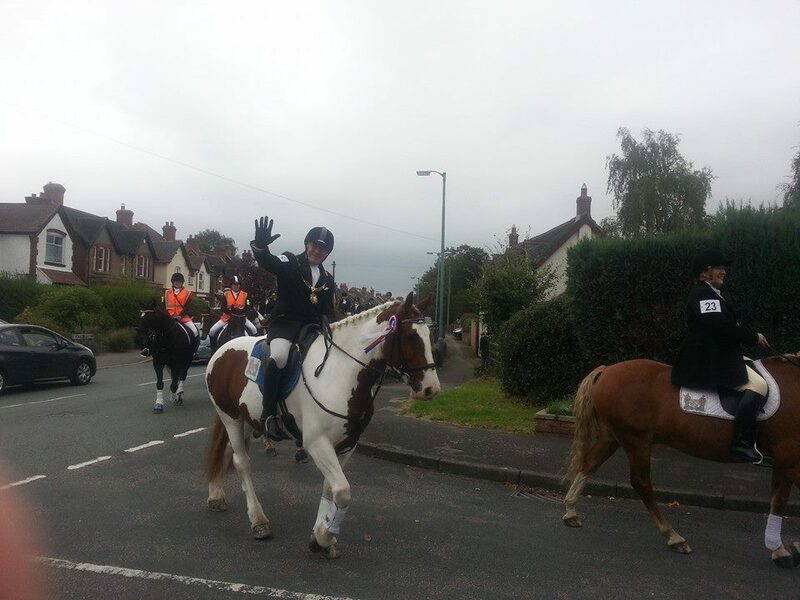 For those who don’t know, the Sheriff’s Ride is an annual perambulation of the boundary of the City (and between 1553 and 1888 the County) of Lichfield on the Saturday nearest to the feast of the Nativity of the Blessed Virgin Mary aka the eighth of September. In the past, where the border wasn’t defined by natural features, such as the Circuit Brook in the North, man-made boundary markers were used. The ride traditionally began (and ended) at Cross in Hand Lane, where a long since vanished cross indicated the city limits and in a talk on the Sheriff’s Ride in 1937 (1), Percy Laithwaite described how a headless cross marked the half way point of the ride at Freeford. Between these two ancient crosses, in the nineteenth century at least, a series of wooden posts staked out the boundary. I know this because in 1878, at the half way point of the Sheriff’s Ride, Colonel Dyott of Freeford Hall complained that nearly half of them were missing. Concerned that the true purpose of the ride i.e. 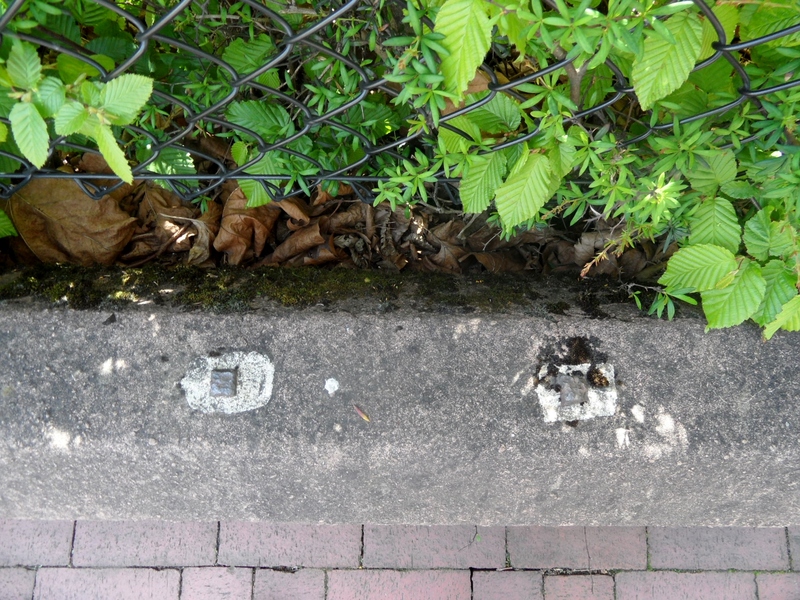 inspecting and maintaining the City of Lichfield’s boundary had been lost, the Colonel offered to point out the boundary as he knew it so that the decayed and disappeared posts could be replaced. That year’s Sheriff, Thomas Sherrat, added that he could remember a series of white posts marked with a letter L along the boundary and Mr Coxon of Freeford Farm recalled that there had been nine posts in the vicinity of his property when he first arrived there, but only one remained. It seems that the matter of the missing posts didn’t quite make it onto anyone’s to-do list that year, as in 1879 the Sheriff (Dr Browne) reported that he had perambulated the boundary as best he could but found it difficult and unsatisfactory due to the disappearance of many of the boundary posts. According to his reckoning, twenty seven of the forty timber posts were missing in total and due to the ‘injurious consequences to which their absence might easily lead’, he requested that they be replaced. He went onto suggest that the whole lot should be replaced by iron markers. Were they? Even more important that the physical markers which defined the boundary was the knowledge of it held within the collective memory of the city’s residents. The Sheriff’s Ride was not just a civic event, but a community one. Laithwaite says that as late as 1645, the Lichfield Court ordered at least one member of each household to accompany the Sheriff on the ride or be fined. Lichfield’s younglings would follow in the footsteps (ok, hoofsteps) of Lichfield’s senior citizens who, after decades of perambulating, knew their Lady Leasowe from their Austin’s Coat. Knowledge was passed down the generations and when it came to disputes, it was used as evidence. Laithwaite referred to a case in 1656, when there was a disagreement over where Lichfield began and Lord Paget’s land ended (and vice versa). The bailiffs of the city produced four city elders as witnesses, who swore under oath the route of the boundary line that they had followed since they were boys. The earliest written description of the boundary is thought to date back to the late eighteenth century but I suspect you’d still need to know where you were going in order to be able to follow it, if that makes sense. I wheel it out every year but just in case you haven’t seen it before, here is the description of the route which dates back to the late 18th century. Some places are recognisable, some just about fathomable (it took me a while to decipher Whisich as Wissage) and some are…..Hic-filius. It begins at a place called the Cross and Hand near the end of a street there called Bacon street and from thence goeth northward along the lane leading to Longdon Church unto a little lane at the further side of Oakenfields and so along that little cross lands unto another lane that leadeth from Lichfield to King’s Bromley and then along that lane towards Lichfield unto a little lane lying between the Grange Ground and Collin’s Hill Field commonly called the Circuit lane unto the further end of it betwixt two fields the one called Hic-filius and the other Piper’s Croft and so over across a lane that leadeth from Lichfield to Elmhurst and then into another little lane between Stichbrooke Ground and Gifforde’s Crofte and so along that little lane to a green lane at the further side of the Lady Leasowe being the land of Zachary Babington Esquire and down that lane to a called Pone’s Brook and so over that brook into another lane called Stepping Stones lane and so along that lane taking in the land of Richard Dyott Esq Pone’s Fields unto a lane leading from Lichfield to Curborough Somerville so along that lane towards Lichfield until you come to the upper end of the grounds called Scott’s Orchard and then leaving that lane turn into a field of Lichfield called Whisich at a stilt going into the fields called Browne’s Fields and so taking in the field called Whisich then go by the closes called Browne’s Fields Hedge unto the grounds called God’s Croft Hedge and so along that hedge taking in the field called Whisich lane called Goslinge’s lane and along Goslinge’s Lane unto a lane called Matthew Coal Lane and so over across that lane into a field called Cross field at or near an elm tree and so along a head land about the middle of Cressfield unto the nearer end of Gorsty Bank into the lane leading from Lichfield to a cross way called Burton turnings and from thence along Ikenield street taking in Spear Hill and Boley unto a cross way leading from Lichfield to Whittington and so along that lane towards Whittington unto the south end of Austin’s Coat Grounds then turning upon the left hand at that brook to a gate going into Fulfin Grounds unto the moors called Dernford Moors and so along by the hedge of those moors unto the nether side of Dernford Mill stream and so going by the mill door to the pool dam and going along by the pool and the brook taking in Horslade and a meadow belonging to Freeford House unto a bridge called Freeford Bridge in a lane leading from Lichfield to Tamworth and so from that bridge up the sandy lane to Freeford House and along that lane to the corner of the meadow and then turning into Bispells at the corner of the meadow and so going by the meadow hedge until you come to the brook that runneth to Freeford Bridge and so going up a little pool taking in all Bispells unto a ford called Baltrex ford and then entering into Old field turn up the left hand to the brook that runs from Freeford Pool and so along that brook to Freeford Pool and along by the pool and the brook that comes from Swynfen Mill until you come into the lane that leads from Swynfen unto the mill and so along that lane to a gate that leads from Lichfield unto Swynfen called Old Field Gate and then not coming in at that gate but going to the corner of the hedge adjoining to Cley Lands come in at a gap and taking in all Old field come by the demesnes of Swynfen unto a place called Long bridge and so entering into a little lane between Long furlong and Long bridge grounds leading to Well crofts and so taking in all Well crofts along by the Knowle Leasowes being the Hospital Land unto Ikeneld street and so along Ikeneld street unto the further side of a close called Gorsty Leasowe and leaving the hedge on the left hand taking in that close going along by that hedge leading to Hare house Ground and so along that hedge unto the top of Dean’s Slade taking in all Hare house Ground northward enter into Park field leaving the hedge on the right hand and so following that hedge unto a little lane at Aldershawe that comes down that lane to the gate and through the gate then turn upon the left hand by Aldershawe Hedge taking in the barn and so go into the Wheat Close leaving the hedge on the left hand unto the road called the Fosse way up to the top of Mickle hill then crossing over Pipe green along an old decayed cart way into a lane end that leads to Pipe grange lane to the further side of Padwell’s and so taking in Padwell’s leaving the hedge on the left hand to a little lane that leadeth into Ashfield leaving the hedge on the left hand into the grounds called Lammas Grounds and leaving the hedge on the left hand and so into Lemondsley then following the brook to Pipe green gate and so along the brook in Pipe green into a little lane that butteth upon the lane that leadeth from Lichfield to Pipe and crossing that lane into Smithfield at the corner of Abnell Hedge and so taking in all Smithfield leaving Abnell Ground on the left hand unto the Cross and Hand where it began. Whisich/Wissage. Try saying it aloud! No idea what it means though…. Percy Laithwaite rounded off his talk in 1937 by hoping that in another four centuries time someone would still be talking about the annual delights of perambulating what had been called ‘the jolliest sixteen miles in Staffordshire’ (although perhaps not if you were riding with Dr Browne in 1879). Well, we’re still doing it seventy eight years on (although due to boundary changes it’s now a twenty mile round trip) and I hope everyone taking part in the rides has a great day on Saturday. 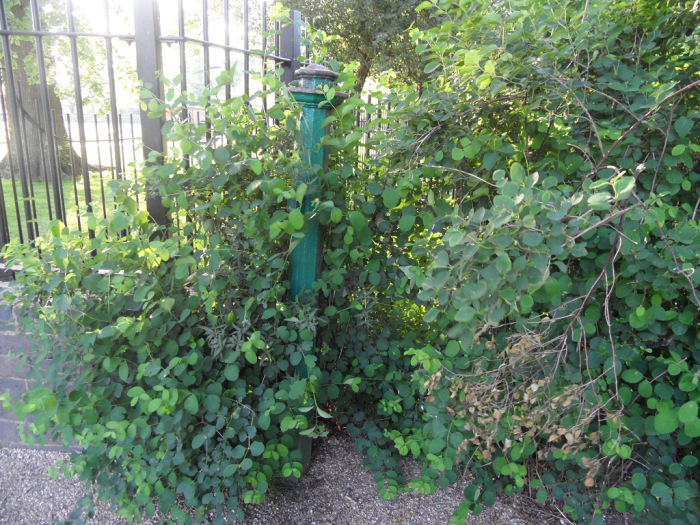 Of course, if anyone ever spots one of those old boundary markers, please keep do me posted! (1) One of a series of ‘Our City’ talks arranged by the Higher Education Committee of Lichfield City Council. How do you make a bandstand? Take away the chairs. Or if you’re lucky, a local dignitary will provide you with one. 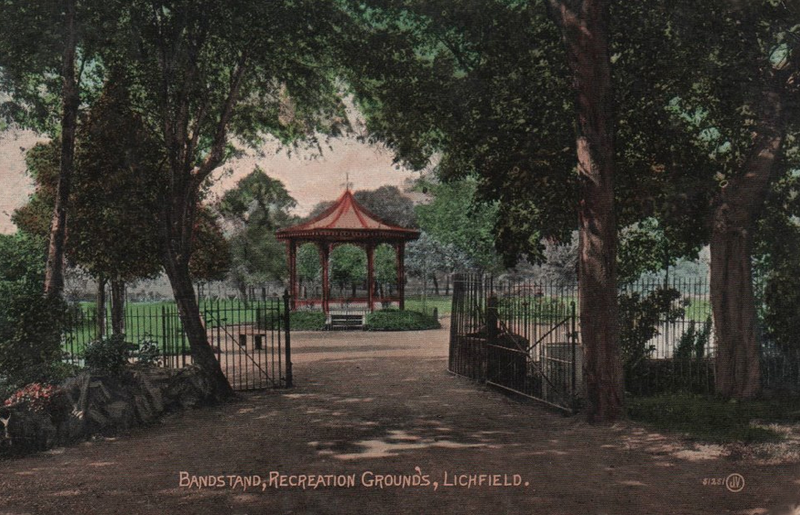 In July 1893, during his third stint as Mayor of Lichfield, Major John Gilbert presented the city with a bandstand to mark the marriage of Princess Mary of Teck and the Duke of York (later George V and Queen Mary). It stood in the Recreation Grounds of what is now Beacon Park but by 1925, Major Gilbert’s gift had become a bit of a problem. 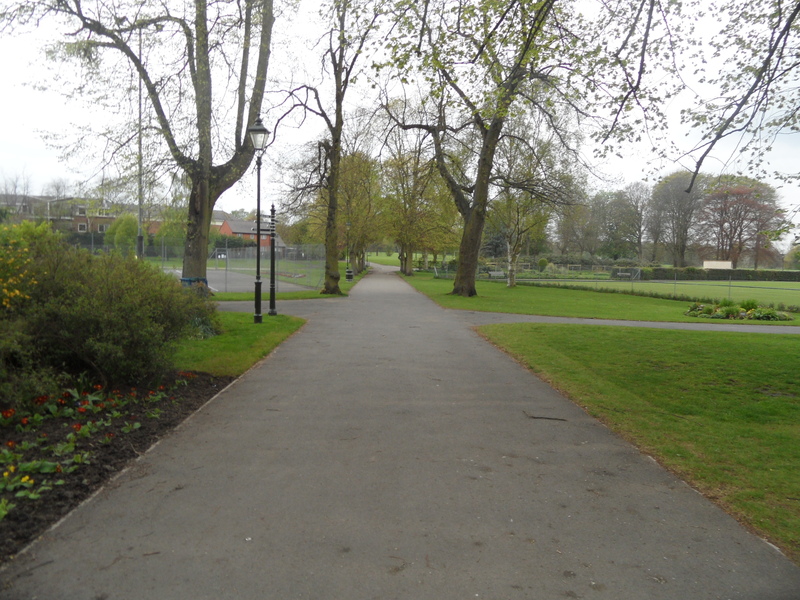 In March, the secretary of the Lichfield Cycling Institute wrote to the City Council saying that since the cycle track had been created in the Recreation Grounds, many thought that the bandstand should be removed. Even with padding around the structure, there was the risk of an appalling accident. Councillor Perrins agreed with the cyclists. In his opinion the bandstand was a death-trap and should be removed, or the track shut. Alderman Winter wanted the wishes of the late donor’s family to be taken into account but Councillor Tayler thought this was ‘sentiment before service’. In the end, the matter was referred to the Museum Committee. In December 1925, the Mercury gave an update on ‘that bandstand’. Lichfield City Council had decided to keep it where it was as it would collapse if it was moved. It was fortified with concrete, bricks and stone (some of which came from the old Friary – more bits of that ancient building can supposedly be found at the toilets in the park). One member of the council defended the bandstand’s retention on the grounds it was an object of beauty. However, the Mercury correspondent’s view was that ‘it is even less useful than it is beautiful’. One concession that was made to public demand was that the railings near to the cycle track were taken in line with the base of the stand. The Mercury concluded by suggesting that Lichfield be grateful for these small mercies, ‘even if the circumstances do not incline us to raise a song of joy about them’. I believe that eventually the bandstand was eventually removed due to costs of upkeep. I’m not sure exactly when this was but believe it to have been sometime in the 1960s (it doesn’t show on a 1966 map of Lichfield). When I went to have a look at where the bandstand once stood, I spotted this old metal post. It looks to me as if it was part of the old gates leading into the recreation grounds, which you can see on the postcard above. Rumour has it that the bandstand itself is also still to be found in the park somewhere… Sounds a little unlikely? You’d be amazed at what people leave lying around gathering moss. I’ve heard that over the years people have called for a new Beacon Park bandstand. Yet, prior to its removal the original doesn’t seem to have been that popular or well used (although some blamed the lack of interest on Lichfield’s junior citizens for running around the bandstand making a noise, and driving the spectators away). Is a new bandstand a good idea or rose tinted nostalgia? Either way, I’d love to know if you find any bits of the old one in the shrubbery. 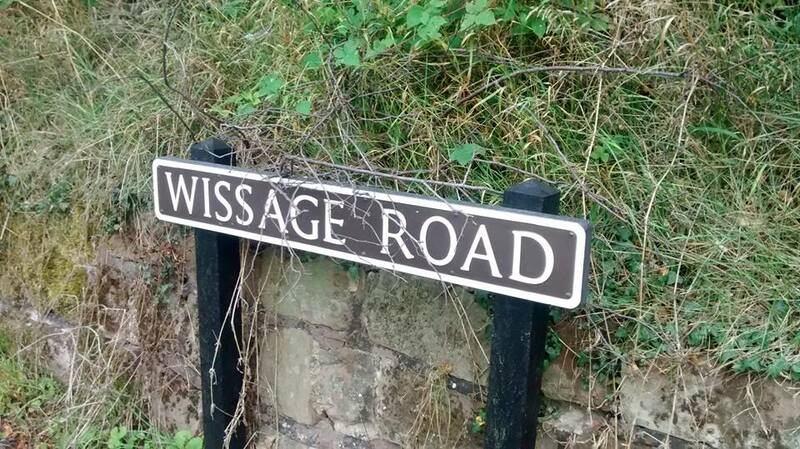 Recently there was a notice in the Lichfield Mercury that the name ‘Halfpenny Lane’ had been assigned to a new development off the Walsall Road (1). If streets, buildings, etc, are to be name after local people, then I think its important to know who those people were and what contribution they’ve made to that place. The following information was very kindly provided by Colin Halfpenny, son of Frank and Mary Halfpenny. Frank Halfpenny was born on 11th September 1897 in Goldenhill, Stoke on Trent. At the age of fourteen he was apprenticed to Marsdon and Sons, a tailor and outfitting firm in Newcastle under Lyme. Between 1916 and 1919 Frank served in the Staffordshire Yeomanry as a signaller, spending time in Egypt and Palestine. This photograph was sent to me by Ron Myatt of the Great Wyrley Local History Society. 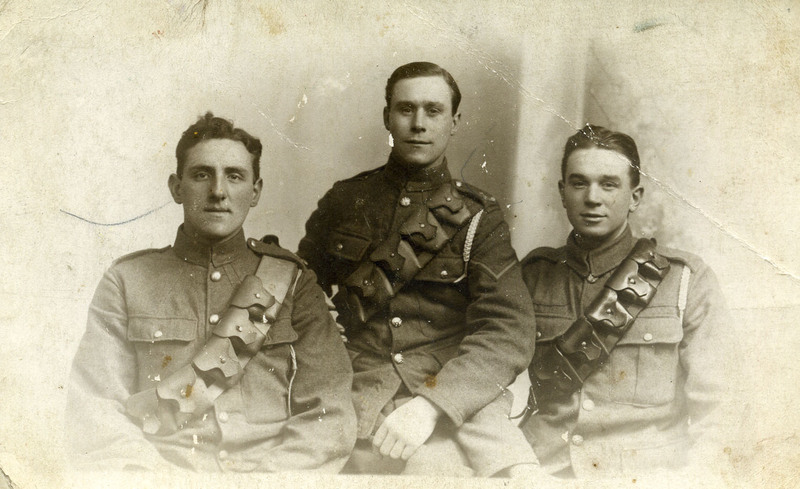 Ron and I had a chat about it – we understand that it shows Frank Halfpenny whilst serving in WW1, but the identities of the other men are unknown. If anyone can help, Ron and I would be very grateful! At the 1935 AGM of the cricket club Sam Brown (the father of Cuthbert Brown who published several books on growing up on Beacon St) the Treasurer told the members that the club finances were very low and that a method of raising them had to be found. Frank offered the club a cup to be played for with an annual competition, this was agreed to and the competition was started amongst local village clubs in 1936. This has been played for every year since then and is thought to be the oldest 20×20 competition in the country. He was also a member of several bowls clubs, the allotments association and the City Institute where he enjoyed a game of billiards or snooker. In 1936 he was elected to the City Council and became Sheriff in 1938. At the same time his father in law, Councillor F M Tayler, (later to become Alderman and a Freeman of the city) started his second year as Mayor. Many people will know the photograph of Frank maintaining the tradition of the Sheriff’s Ride in 1939, accompanied by Sam Ashley who at 70 years of age had followed the ride each year from when he was 7 years old. Sam had walked to Four Oaks and collected the horses then rode to Lichfield , round the city boundary, back to Four Oaks and walked home again. The following year, Frank presented Sam with a copy of this photo. Sam replied that the day had always been a pleasure all his life and he had always enjoyed it, noting that ‘there were not above three people alive who went round when he was a boy and he hoped to go on as long as he could’. During the War Frank was also a prominent member of the ARP and spoke all over the Midlands for the Ministry of Information on national security, instructing Home Guard units on signalling. Frank was a member of many committees and was Chairman of the Lichfield, Tamworth and Sutton Coldfield Hospital Committee for a long time and was also elected onto Staffordshire County Council. He was a magistrate on the County Justices Bench and Mary his wife was on the City Justices Bench. In 1965/6 Frank was elected Mayor of Lichfield, and after his death on May 12th 1966 , his wife Mary took his place as Deputy Mayor for 1966/7. Mary Halfpenny he was then appointed Sheriff in 1968 (when Ena Millard was Mayor) and became Mayor in 1971. Mrs Halfpenny is on the front row of the above photograph, fourth from left. Until writing this I have to confess that I had assumed that the lane had been named after Mr Halfpenny, but clearly Mrs Halfpenny was also an active member of the community, and so perhaps the name should commemorate both of them? The photo was very kindly sent to me by David Shaw whose father John Shaw is sitting on the second row (second from left). In a nice bit of synchronicity, John wrote wonderful local history books, one of which is about the street names in Lichfield! 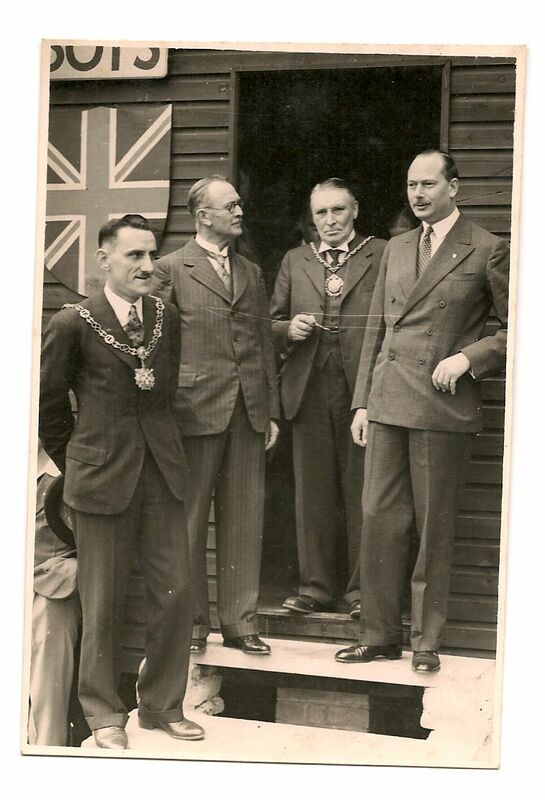 Colin Halfpenny also provided this photograph taken outside Christ Church Boys Club in 1939, when the Duke of Gloucester visited. It shows Cllr Halfpenny (the Sheriff), his father-in-law Cllr Tayler (the Mayor), and the chairman of the Youth club committee (name unknown, possibly a local bank manager?) with the Duke. (1) I can’t think whereabouts this is and am a little reluctant to go and look as with my poor sense of direction and the labyrinthine nature of the estate I always struggle to find my way back out again! Does anyone else know? (2) Thanks so much to Colin, David and Ron for providing the above information and photographs. When I was a little girl, my great (in all senses of the word!) granddad told me that the railings at the local cemetery in Birmingham had been taken for the war effort. Ever since then it’s been my understanding that iron and other metals collected from homes, gardens and public places during the Second World War, were transformed into munitions. However, earlier this year a comment on Facebook, suggesting that the recycling of metal for the war effort was a myth, made me question this long held belief. 3- Railings of special artistic merit or historic value. 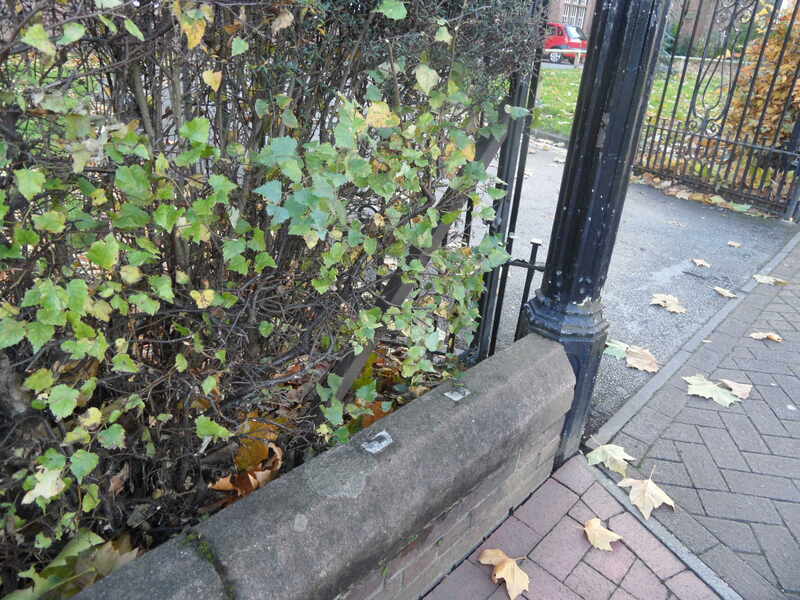 The remains of metal railings at Lichfield Library (the Friary Girls School at the time of WW2). 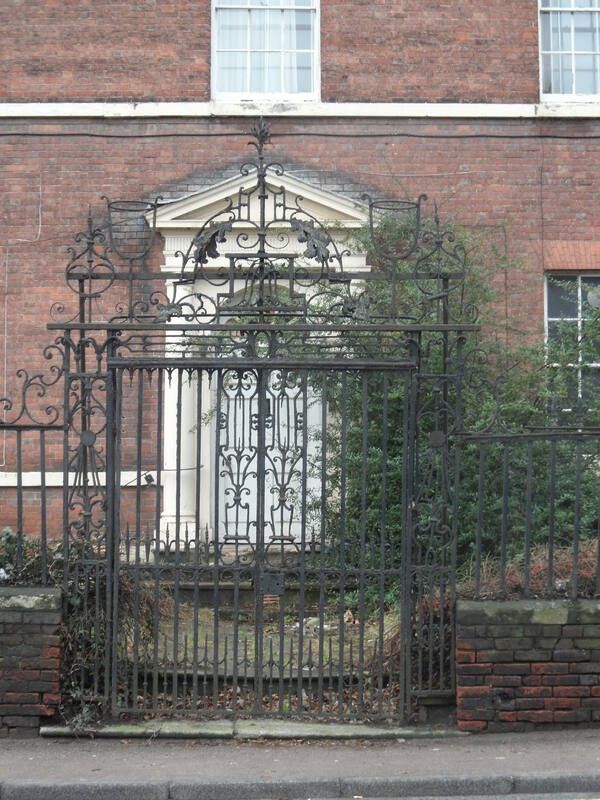 This perhaps explains why the library (then the Friary Girls School) lost its railings, but the decorative eighteenth century wrought iron gates outside the Angel Croft remained. It’s a little ironic that these listed railings were saved from the scrapheap back in the 1940s only to be left to rust away in-situ in more recent times. For an insight into some of the discussions that took place at the time, I’ve summarised part of a Council meeting that took place in June 1941, concerning the requisition of the railings that once stood around the gardens at Greenhill. Cllr Tayler argued that their removal should be deferred as they were necessary to prevent trespassing in the garden and to protect the water tank underneath, and asked why such a small amount of railings doing such necessary work should be removed when there was a large amount of ornamental fencing in the city still in place. Cllr.Taylor mentioned the railings around the Friary School in particular, explaining that there were more tonnes of railings there than hundredweights at Greenhill. He acknowledged that they were nice to look through, and that one could almost imagine they were looking at the Garden of Eden at times, but argued that if they wanted to get the serpent Hitler out, the Friary’s railings should be taken as a valuable contribution for the Minister’s appeal. Whilst Cllr Taylor got his way at the Friary, his point about Greenhill was rejected. The Mayor felt that the council could not expect people to remove their railings if the council was unwilling to surrender their own. He also felt the removal of the Greenhill railings would enhance the beauty of that little park, creating a place where the old people of Lichfield could go for an enjoyable smoke. Cllr. Tayler remained unconvinced by this vision – he thought it was more likely to become a car park for Winterton’s auction. Alderman Deacon agreed – he thought opening up the space would lead to trespassing left, right and centre. He also voiced his frustration regarding the government’s campaign saying, “If the necessity for railings is so urgent as the Ministry of Supply said, why don’t they make a requisition for the whole of it…the Government should adopt a proper attitude and make a requisition for the whole of it”. Cllr. Moseley’s attempts to appease both sides by suggesting the decision be deferred to allow the members to visit the site were met with strong words from Cllr. Wiliams. “It seems pitiful to me. We are at war, and the Prime Minister’s speech not many hours ago gave the excuse of getting out of Crete because we did not have sufficient of this and the other. I take it we should never have attempted to recommend the removal of this scrap metal unless it was wanted, and yet these old historical people get up and say, ‘Don’t take it away as it will spoil the beauty of the city’. We have not in Lichfield felt the war, and it would be a damned good thing if we had a shot at it, and then we should realise what our army, navy and air force have to put up with. I can’t understand this spirit of Cromwell today. If we can help a little bit in Lichfield by scrapping our railings, let us do it with a good heart. Cllr Collins echoed these thoughts by adding, “We called it the ancient and loyal city and I think we can add one word – patriotic. I would certainly support the giving up of these railings on patriotic grounds and also that all other railings in Lichfield should be given up”. With these words, Cllr Tayler’s attempt to save Greenhill’s railings was defeated. At the same meeting, Cllr. Halfpenny suggested that the railings in the Museum Grounds be salvaged and replaced by wire and fencing. The previous summer, the Council had decided to sell the old guns from the Crimean and First World Wars which were on display in the grounds. Again, this decision was reached following a fascinating and, at times, seemingly heated discussion. Cllr. 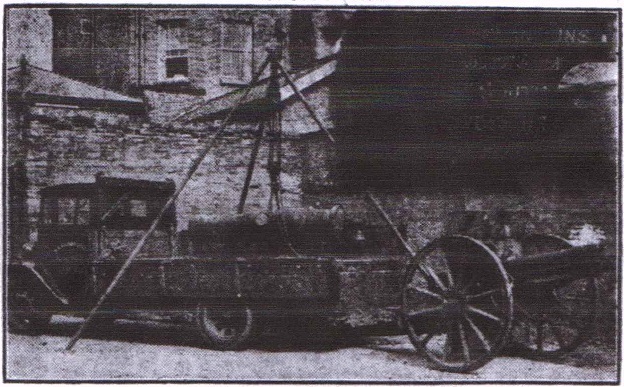 Collins opposed the sale of these old war relics believing that they had been given to Lichfield as a token of the courage, bravery and endurance of the men of the 2nd Battalion of the South Staffordshire Regiment (the First World War gun had apparently been captured by them on 3 August 1918). It did not cost anything to keep them, not even a rag or a drop of oil, and he believed that there may be many South Staffordshire soldiers who passed by that gun and had a chat about days gone by. The Russian gun from the Crimea put Cllr. Collins in mind of his school days and some of the battles that had been fought. In his opinion, the guns should stay where they were and wait for the next one to come and keep them company. Alderman Bridgeman agreed, as did Cllr. Williams, Alderman Hall and Cllr. Moseley, who thought that they made the grounds more interesting. However, Cllr. Tayler was firmly in favour of the sale. He believed that the ‘morbid sentimentality’ that they had heard that evening had led the nation into the deplorable condition it now found itself in. Too much consideration had been given to German relics and Germans since 1918. The nation needed iron and what better to have than that sort of scrap iron. He acknowledged that the guns were of interest but felt that they could not afford simply to allow them to lie about for people to look at when they were the very thing the nation and the army wanted. Cllr. Nevill added that the old first world war gun had been lying around for the last twenty years, used only as a plaything for the children. Cllr. Bather reminded the meeting that the country was having to import iron from the States at exorbitant prices and believed, ‘If that gun was turned into a new one to use against the Germans, it would be the finest thing that could happen to it’. The decision was taken to sell the guns to a local metal merchant who had been granted a license by the Ministry of Supply to purchase scrap of all descriptions. However, what became of the guns after that? There are numerous blogs and discussion boards on the subject of Britain’s war effort. On some you’ll find tales of railings being dumped in the Thames and the North Sea and of piles of metal rusting away in fields and depots. Perhaps somewhere amongst the propaganda and the myth, is the real story of what happened to the ‘scrap’ metal collected here in Lichfield and elsewhere. Notes: There’s a great Pathe film clip called ‘Park Railings for Munitions’, which you can watch here.